“Moonstone” reminds us of ancient times. Found in a large rock its image brings us close to our ancestry and the element earth. Therapists have been inspired by this image and it works well for activating the imagination in their clients who feel a sense of being grounded. 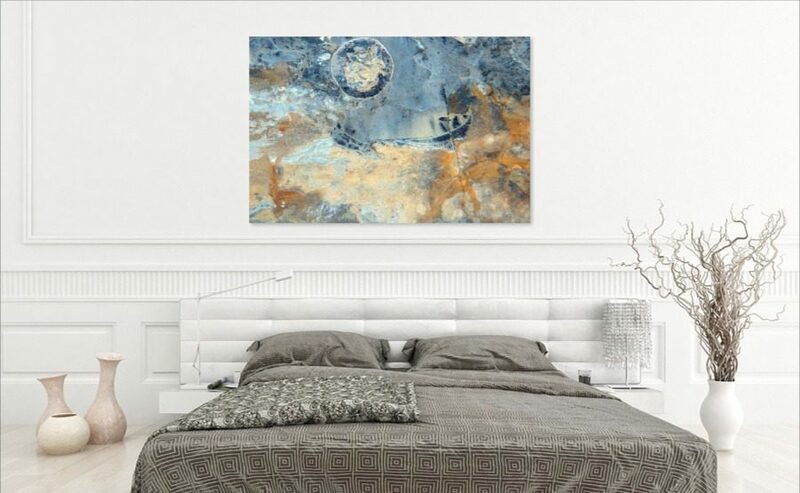 Moonstone is very soothing and can hang well in bedrooms and other environments where the lines are abstract and contemporary juxtaposed with the ancient feelings of the image.